GOP House Rep Mocks Democratic Women For Wearing White To Trump's Speech: They Have A Disease - Joe.My.God. A Republican congressman who is potentially eyeing a Senate run mocked Democratic women on Wednesday for wearing white at President Donald Trump’s address to a joint session of Congress. 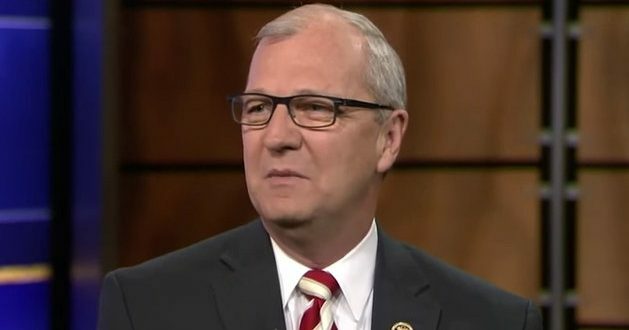 Rep. Kevin Cramer of North Dakota said the “poorly dressed” Democratic women wore “bad-looking white pantsuits” in solidarity with failed Democratic presidential nominee Hillary Clinton. Cramer basically opposes civil rights for everybody except white Christian men and is known to quote scripture in his rants against food stamps.